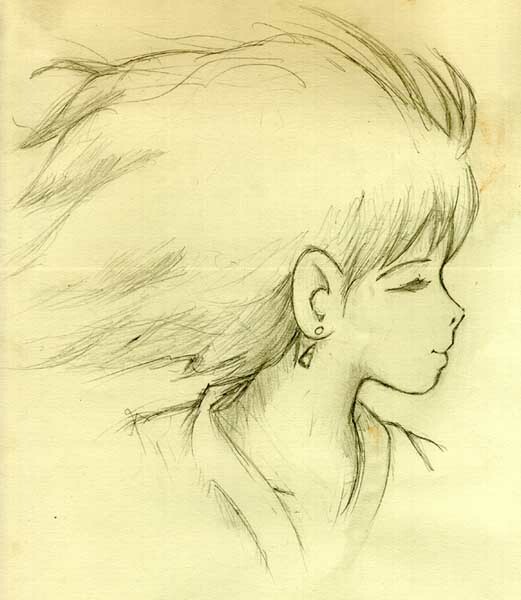 What I tried to do is depict the timeless part of Nausicaa's spirit. Nausicaa, and what she stands for, has changed very little since she first appeared in the Greek epics over 2500 years ago. 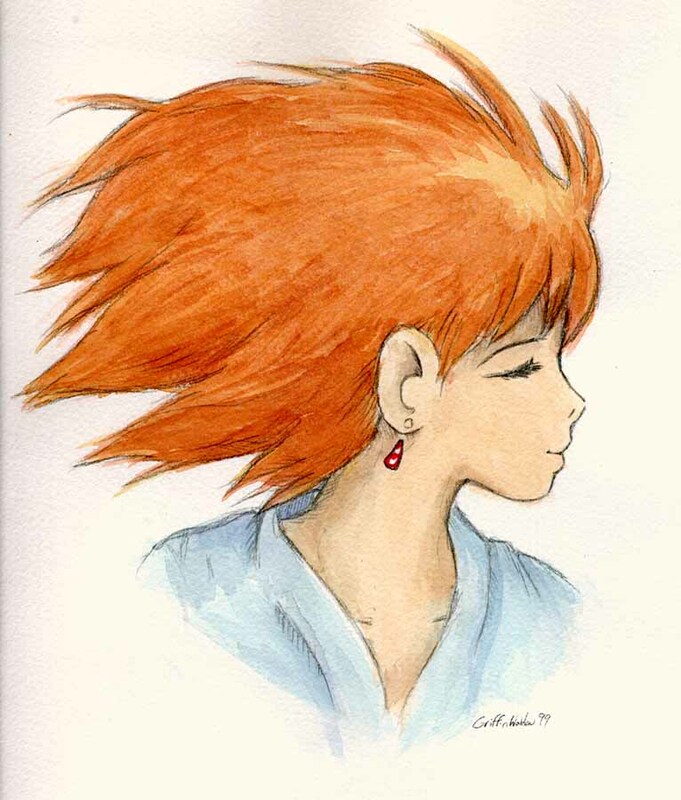 I find it wonderful and fascinating that so many centuries have passed and the qualities found in what was the portrayal of the ideal young woman are evident and admired in the Nausicaa that we know today. As Miyazaki's films become more well known worldwide, I hope to see Nausicaa become a more universally recognized personification of the virtue of kindness triumphing over brutality. I truly believe that this can happen because her bravery and self-sacrifice touches the hearts of her audience and makes them stop and think about the message she conveys. It is because of these reasons that I come to know and love her as a dear friend, rather than just a character in a book. I wish everyone the best of times at Naucon 99.